Ernest Borgnine was said to have remarked: “Ever since they opened the floodgates with Clark Gable saying, ‘Frankly, my dear, I don’t give a damn,’ somebody’s ears pricked up and said, ‘Oh boy, here we go!’. Writers used to make such wonderful pictures without all that swearing, all that cursing. And now it seems that you can’t say three words without cursing. And I don’t think that’s right.” A rare actor who actually worked in all genres, Ernest Borgnine contributed to the changing tide of actors who could successfully undertake roles in TV with the sitcom lead in McHale's Navy (originating the role of an irreverent con man of a PT boat skipper), and leads or character actors in film, with roles in The Dirty Dozen, The Wild Bunch, Airwolf, From Here To Eternity, Escape From New York, among too many others to list. His McHale's Navy role played with unerring comedic timing or he could play a tough guy with an unforgettable face, until that gap tooth smile broke and his face was launched in that famously radiant grin. He was an unlikely big-screen star or a romantic lead, yet he won an Oscar in 1955 for Marty that also brought him a Palm D'Or at the Cannes Film Festival. 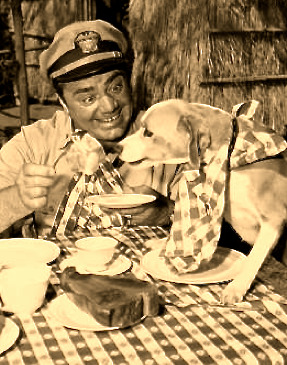 Marty and The Lost Weekend (1945) are the only two films ever to win both grand prizes. 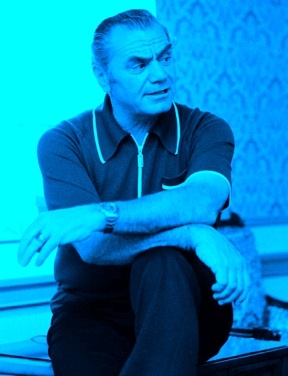 A career lasting six decades, Borgnine's work continued as the voice of Mermaid Man on the hugely successful Sponge Bob. Nominated for an Emmy at 92 for his work on ER, he died at 95 leaving a body of work showing Old School can still teach New School a thing or two including how to survive in an Industry notoriously age phobic.